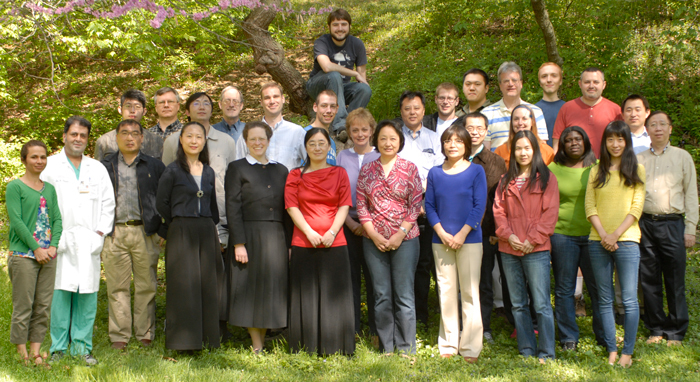 The members of the Engelhardt Lab at the University of Iowa Department of Anatomy & Cell Biology welcome you to our web site.We are a diverse group from the far corners of the world, gathered here among the corn fields of Iowa to learn, teach and perform research. You will learn as you journey through our pages that our research, though wide-ranging, is centered on developing approaches for gene therapy of human diseases. Our research spans genetic and metabolic diseases from cystic fibrosis, organ transplantation and sepsis, to cardiac ischemia. We invite you to explore these pages to learn more about gene therapy and about us as individuals. Along the way we hope you will learn to share our excitement about this field of research.